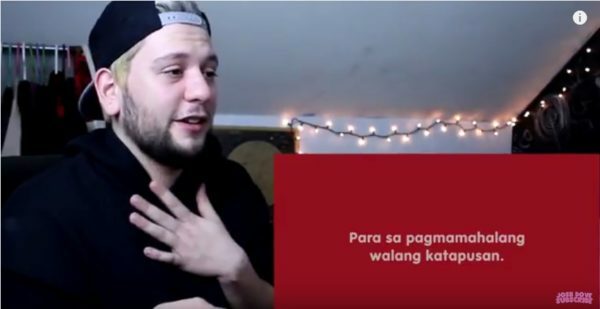 Since their release, the KwentongJollibee Valentine viral videos – “Vow”, “Crush”, and “Date” – that celebrate the different forms of love and the joy that comes with it, have gotten millions of people in tears, feeling hurt, heartbroken, confused, hopeful, and happy. But the stories have also broken the internet, as it spread like wildfire, with viewers, not only Filipinos, expressing and sharing their reactions online. Evenforeign YouTube vloggers (video bloggers) couldn’t escape the phenomenal reach of Jollibee’s viral shorts. When vlogger-couple HugKnucklesTV and HottSamn! reviewed the digital commercials, both were clearly moved by each story. “I got goose bumps and it like crushed me,” said HugKnucklesTVwho got emotional upon watching “Vow”, while HottSamn! was in tears as she felt upset. 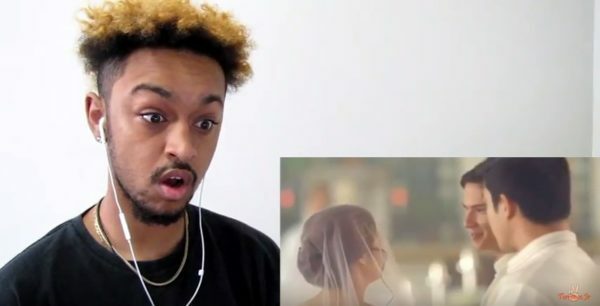 Watching “Crush” also gotthe vloggerscheering, as they hoped for a happier ending. 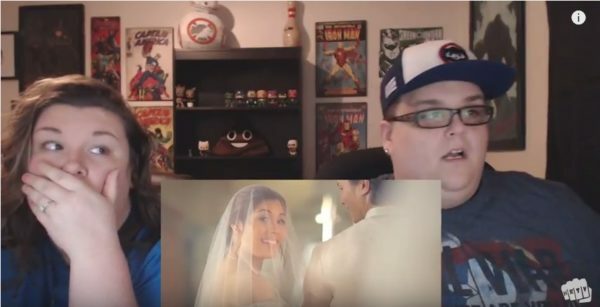 “I’m so happy he got the girl in this one,” said HugKnucklesTV, while HottSamn! who did not see the twist coming, had tears of joy for the heroes of the love story. Both also poked fun on the burger gesture and mentioned that they will be completely okay with that in real life.After watching “Date”, the couple was visibly shocked by the heart-wrenching twist. “This is the first reaction (video) that I’ve done that has elicited tears,” admitted HugKnucklesTV. 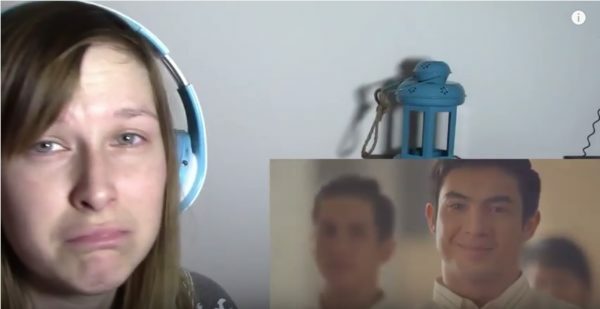 For Swedish vlogger, Petra Reacts, despite ending up in tears, she regarded the videos as “beautiful but sad”, ultimately commending Jollibee for its smart, emotional approach. “It was such a brilliant idea for a commercial. Making people feel something,” she said. On the other hand, vlogger Terrence Jr. walked out after watching “Vow”, as he was deeply affected by the story’s twist. “That’s life. Sometimes the person you’re meant to be with just doesn’t go your way,” he added. In a similar manner, a high school teacher in the United States also recorded his students’ reaction upon watching “Vow”. And when the twist came, the students’ reactions were just as how first-time viewers responded—shocked, in-denial, and hurt. But in the end, they all realized that what matters is the joy that is felt during the special moments of love. Indeed, true stories of love are part of the many formulas that could instantly trigger an overwhelming flow of emotions, especially for many Filipinos. For people abroad, just as how HugKnuckle described one story as something that “came out of nowhere”, the series is also testament on how impactful a Filipino brand could be, not only as a fast-food chain that serves-up a langhap-sarap taste of home, but also for the heartwarming messages it communicates with its consumers. On Facebook and YouTube combined,“Vow” has about 14.6 million views, “Crush” with about 13.7 million, while “Date” has more than 10.2 million. All three commercials have also trended worldwide, even on World Pizza Day, with “Vow” and “Date” becoming the number one trending videos on YouTube since their release. Watchand share the three #KwentongJollibee shorts on Jollibee’sYouTube channel (https://www.youtube.com/user/jollibeedigital1) or on Jollibee’s Facebook page (https://www.facebook.com/JollibeePhilippines). You may also follow Jollibee on Twitter and Instagram at @jollibee.